One of the newest cars in the nation is the Suzuki Kizashi. It takes the well established Japanese manufacturer into the mid-size market segment for the first time. Suzuki's products are highly prized. For example, the Swift has been Next Car's most respected light car for the past five years. Whilst the SX4 and the four-wheel drive Grand Vitara are highly regarded competitors in their respective segments. Value is always a consideration with Suzuki. Such an attribute is always appreciated by the buyers too! The Kizashi 4 door sedan arrives here in a choice of two trim levels. The base model is known as "XL", whilst the top of the range is the "XLS". Both models have a choice of a six-speed manual (with two overdrive ratios) or continuous variable automatic transmission (CVT). The Kizashi measures in at 4,650 mm, with a wheelbase of 2,700 mm. The width is 1,820 mm and height is 1,480 mm. Motive power is provided by a 2.4 litre in-line four cylinder engine. The power rating comes in at 131 kW at 6,500 rpm whilst the torque is rated at 230 Nm at 4,000 rpm. The engine is based on the unit which powers the Grand Vitara. Fuel usage for the "combined cycle" is rated at 7.9 litres per 100 kms for each variant, according to factory tests. The fuel tank has a capacity of 63 litres. Power steering, 5 x 17" alloy wheels and four-wheel disc brakes are standard. So, too, are six airbags and electronic stability programme (ESP). Other features for the Kizashi XL include dual-zone air conditioning, power windows (auto up/down for both front windows), tilt and telescopic steering wheel adjustments, height adjustment for the driver's seat, split rear seatbacks, keyless ignition, audio system with single-disc CD player (MP3 capable with USB connectivity) with steering wheel mounted remote control and seven speakers, together with remote door locking. Whilst the automatic version also features a leather wrapped steering wheel and cruise control. 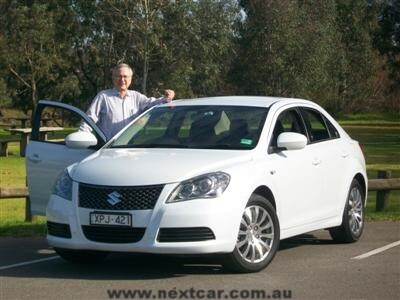 Our road test car was the Suzuki Kizashi XL sedan, fitted with the optional automatic transmission. It is priced from $$30,490* (manual is $2,500 less). For this road test, we covered 868 kms on a drive between Melbourne and Albury, including some suburban motoring in Melbourne. On the road we enjoyed the powerful performance, although a little 'torque steer' was experienced under strong acceleration from a standing start on a number of occasions. But the Kizashi is a delightful car to drive. Inside the car, the designers have managed to package up everything so that the occupants have quite a decent amount of space for a car in this market segment. Front seats feature nice bolsters, but no lumbar support. There are good sized 'pockets' on the front door trims. Good legroom is provided for the back seat passengers. The boot space is quite useful too (461 litres). For folks wanting more for their Kizashi, the "XLS" version features 18-inch alloy wheels, front fog lamps, 10-way power operated driver’s seat with memory, 4-way power operated front passenger seat, rain-sensing wipers, automatic headlamps, 10-speaker 425 watt AM/FM/CD Rockford Fosgate audio system, sunroof, photochromatic interior rear view mirror, leather upholstery, self-levelling High Intensity Discharge (HID) headlamps and parking assist sensor system (front and rear). It's the aforementioned value proposition which will ensure the Suzuki Kizashi makes an immediate impression on the Australian new car market. Not only is the car priced well, it is a particularly well presented sedan with good road manners together with a comfortable and roomy interior. Suzuki has done it again, providing a desirable vehicle with good value! NOTE: * MLP (manufacturer's list price) excludes options, dealer delivery fees and the various statutory charges. 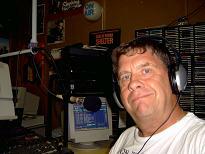 Additionally, prices and specifications are always subject to change without notice. More Suzuki News ..... here.